Mitsubishi’s first started making light and medium-weight commercial vehicles back in 1978. They have stretched across 4-5 generations (depending on how you mark pickup generations) during which time it also begat some Dodge and Chrysler versions. 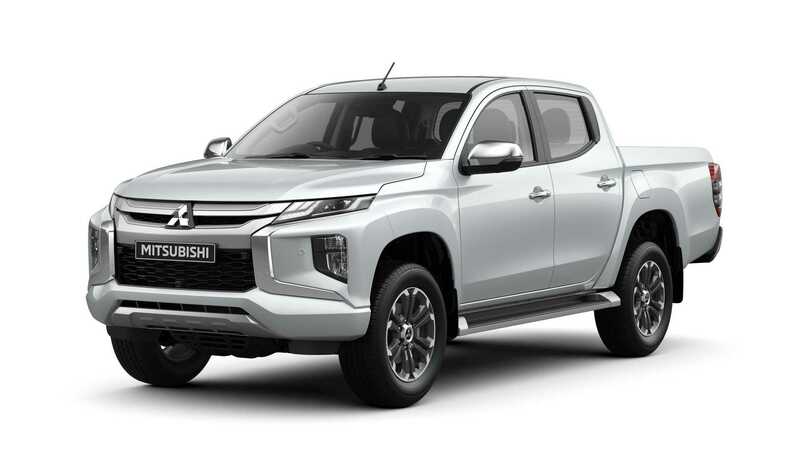 The current flagship Mitsubishi truck launched four years ago and is getting a new look with an eye to remaining competitive in the rough and tumble, highly competitive world of one-ton trucks. Though officially dubbed a “refresh” this is more than that. The Triton is a big and impressive truck with updated style and pizzazz. The radically styled Mitsubishi concepts we’ve seen in spy photos and on the Euro-racing circuit have become the Triton as it will land on showroom floors. The front fascia is controversial to some (Gildshire likes it! ), but it embodies what Mitsubishi calls its Dynamic Shield. The theme reminds some of an Eclipse Crossover. But, these changes aren’t just a rugged new Hugh Jackman with two week’s worth of growth face. The truck also shows off new wheel flares. In the back, the Triton shows up with a modified rear bumper and a new taillight treatment. As far as off-road and off-weather traveling is concerned, or what some people call “truck stuff,” the new rig includes off-road modes with settings that say “Rock,” “Gravel,” “Mud/Snow,” or “Sand.” Turn on your choice, and it controls the traction on challenging terrain. The new Hill Descent Control system is handy at electronically controlling speed on steep or slippery descents. This updated Triton comes with safety features that include what Mitsubishi calls Forward Collision Mitigation, which detects objects up ahead. Blind spot detection and rear cross traffic alert are available too. Mitsubishi is updating the transmissions available on the new truck. The old five-speed automatic is replaced by a six-speed offering better performance along with improved gas mileage. Unveiled earlier this week in Bangkok, the 2019 Triton goes on sale in Thailand on November 17. It will eventually reach dealerships on all seven continents. Gildshire expects it to leave a mark on the competition.